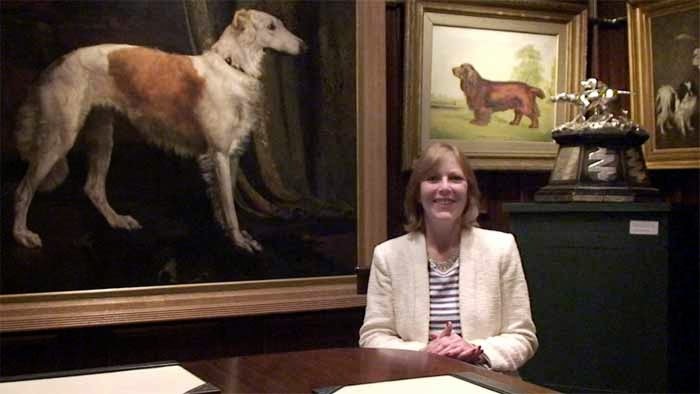 We had a lovely day today filming at the Kennel Club's headquarters in London. Caroline Kisko told us all about everything the Kennel Club does, including their extensive campaigning work and their 'Be Dog Friendly' scheme to encourage places and venues to become dog friendly. We also met Ciara Farrell from the library who told us all about the Kennel Club gallery and showed us some of the fascinating collections from the library.